Razlog Municipality is situated in South-western Bulgaria, in the middle of Razlog valley, along the stream of Mesta river and in the foot of three mountains – Pirin, Rila and the Rhodope Mountains. The average altitude is 900 meters. The territory of the municipality is 439.86 square meters. Razlog Municipality is neighbouring to several other municipalities - Bansko, Kresna, Belitsa, Simitli, Samokov and Blagoevgrad. The administrative centre of the municipality is connected with the towns of Velingrad, Septemvri and Gotze Delchev through the E-86 international road, as well as with the projected international highway between Sofia and Drama (Greece). There is a narrow-gauge railway line crossing the municipality, connecting the village of Dobrinishte with the town of Septemvri. A very important factor defining the local economic development is the closeness of administrative centres like the capital Sofia, the cities of Blagoevgrad, Pazardjik and Plovdiv. 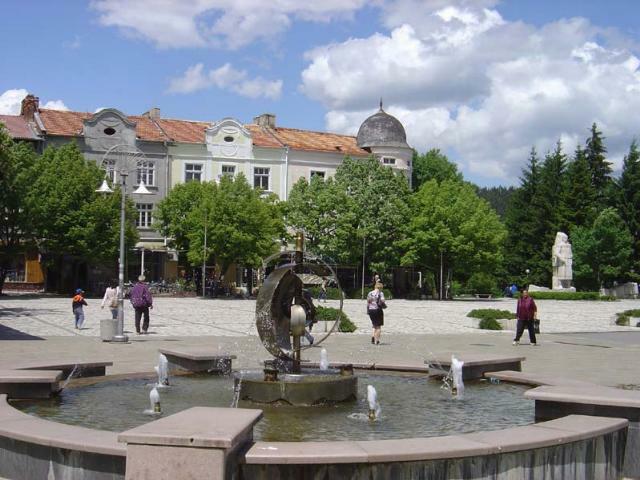 The Municipality of Razlog comprises of its administrative center – the town of Razlog, and seven other villages – Banya, Bachevo, Dobarsko, Godlevo, Gorno Draglishte, Dolno Draglishte, and Eleshnitsa.